Do you crave more from your time with God? This beautifully designed 31-day bible study toolkit was created for women who don’t have a lot of time to sit down quietly and do a devotional, but desperately need to spend time with God. If you want to get better at spending time with God, but struggle with accountability and motivation, you can easily complete this in small portions of your day. 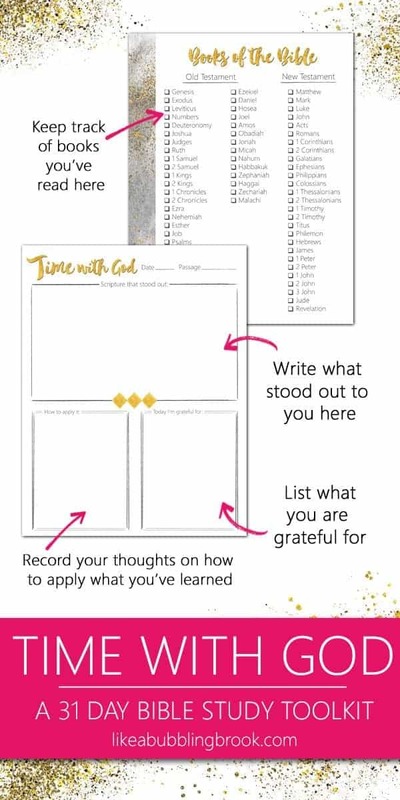 This 60+ page printable toolkit includes a list of the books of the bible that you can check off as you’ve completed them, as well as a habit tracker to X off each day that you’ve spent time with God. The bible study page for each day includes an area for the date, what passage you read, what verse in particular stood out to you that day, what you’re grateful for, and more. There’s also a special page each day for notes, which you can also use to write out a portion of what you read. Scripture writing can be a powerful tool when you’re distracted by the demands of the day! 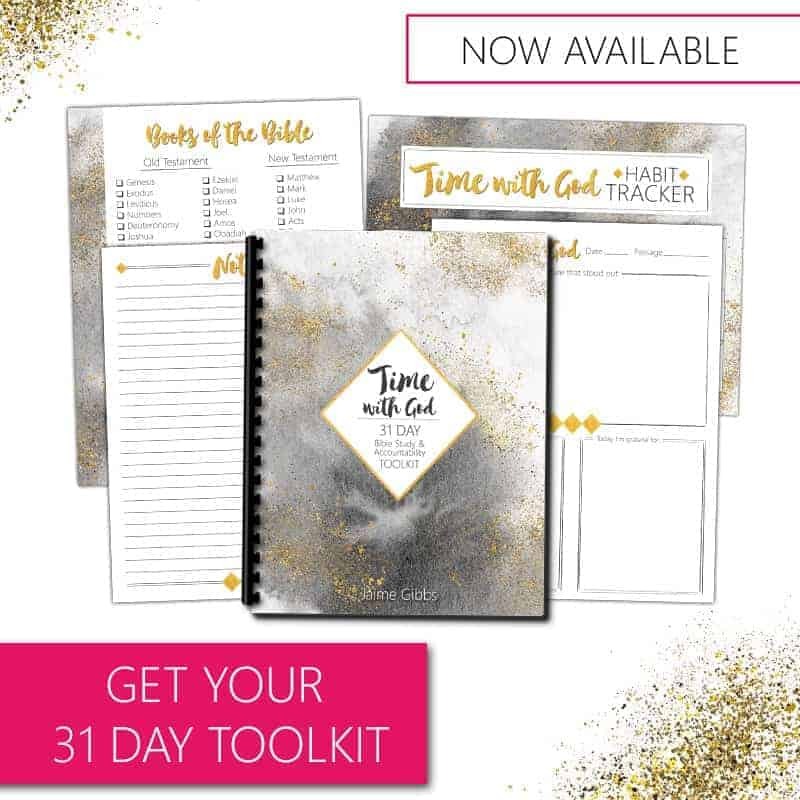 You can easily keep your Time With God toolkit nearby — on your desk or the kitchen counter — and spend five minutes in it as you go about your daily work. Purpose to do this a handful of times and you’ll find yourself spending more time with God throughout your day! It’s the perfect accountability tool for growing in faith and going deeper in God. Plus, it’s beautiful, which makes your quiet time all the more fun! *This is a printable PDF file and will arrive in your inbox after your Paypal purchase. Look for the file within your receipt. You can easily print the toolkit and store it in a three ring binder, or bring it to your local copy shop to be spiral bound. It doesn’t cost much; our local shop does it for about $3. ENJOY!